Lifts are being installed in three states. 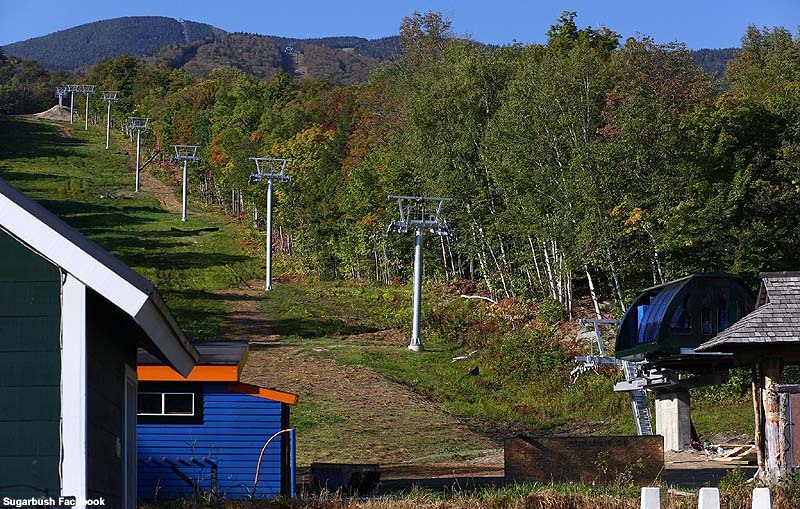 With ski season just weeks away, lift installations are at various stages in Maine, New Hampshire, and Vermont. 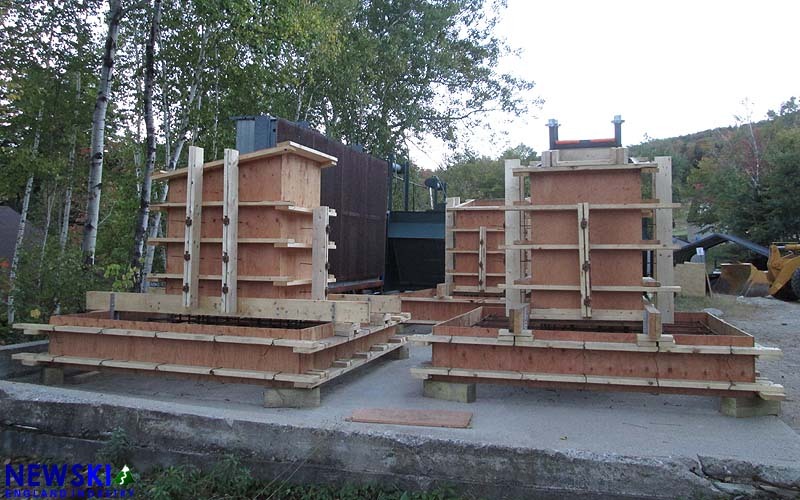 The two new novice quads at Sugarbush are nearing completion with towers and terminals now in place. The Doppelmayr lifts replace the Village and Sunny D double chairlifts. Concrete work is underway at Burke, where the original Pomalift is being replaced with a new Leitner Poma T-Bar. 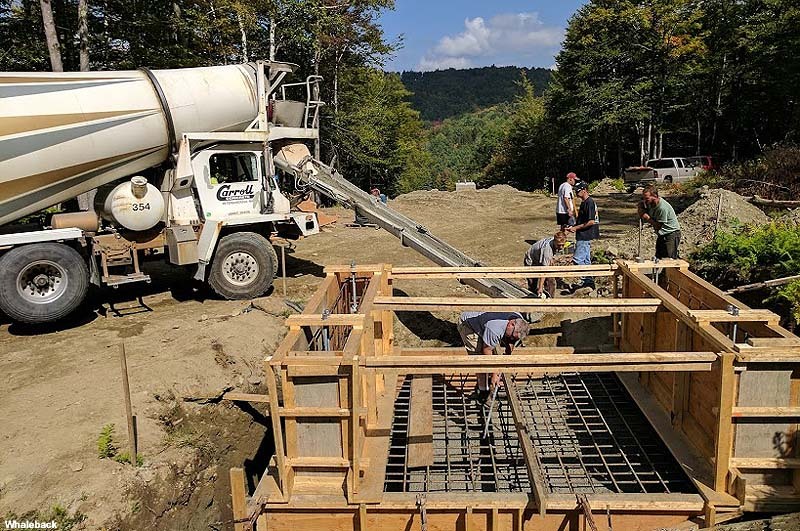 The base terminal structure has been installed at Sunday River, however it appears the planned September helicopter tower install was postponed. 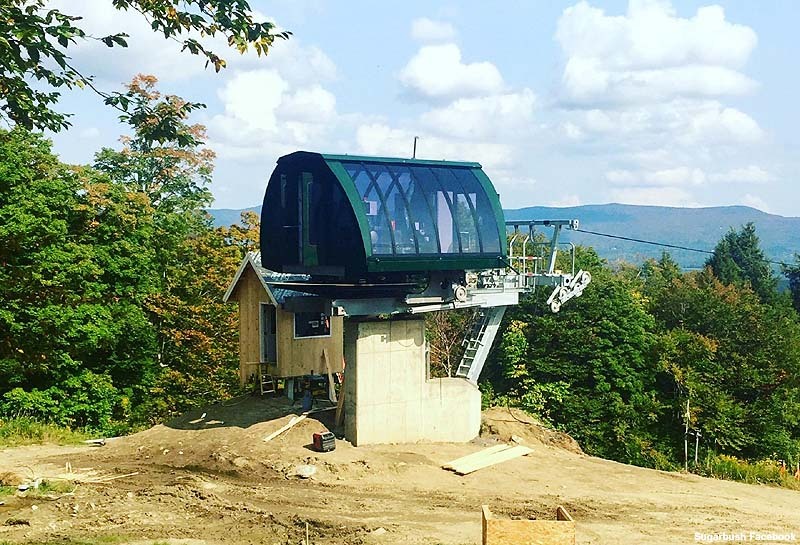 The new Doppelmayr triple chairlift will serve Spruce Peak. 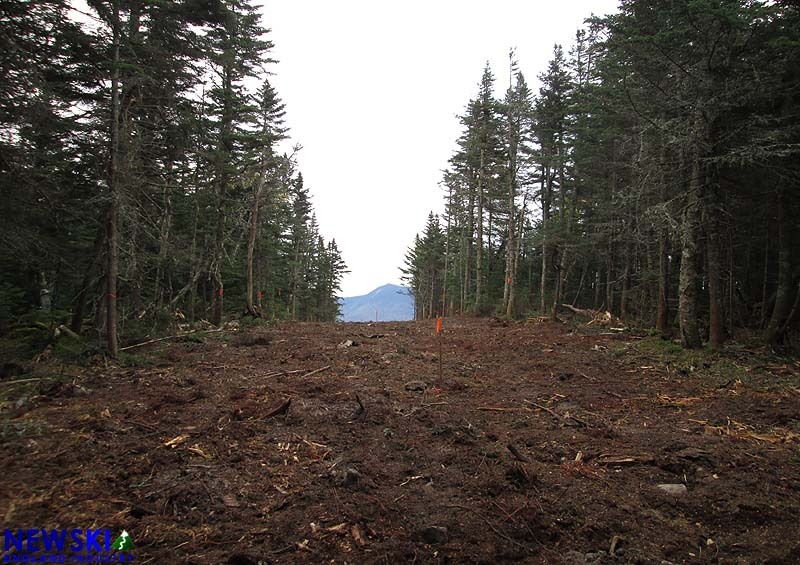 Uncertainty remains at Saddleback, as the proposed new Rangeley quad installation is still in the air for 2017. 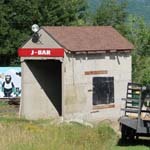 The Cupsuptic T-Bar replacement has been shelved in lieu of repairing the existing Hall. 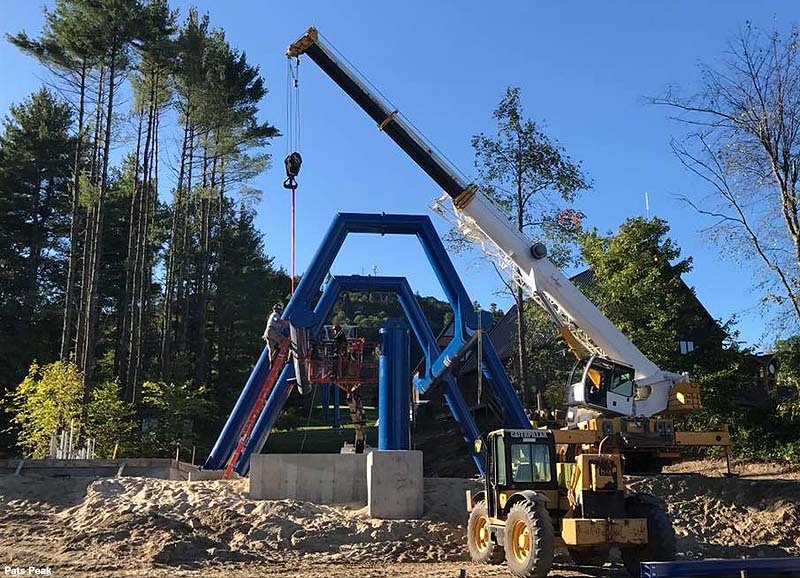 In New Hampshire, Pats Peak's new summit triple chairlift is moving along nicely, as towers have been installed and the base terminal is under construction. The refurbished CTEC lift, originally installed at Ascutney, will feature a loading carpet. 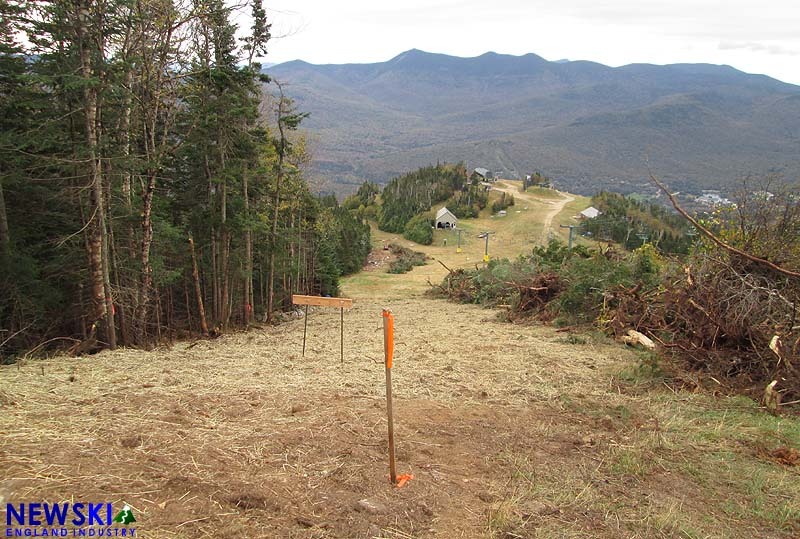 At Waterville Valley, the new lift line has been cleared in preparation for the replacement of the High Country chairlift. The LST T-Bar will feature 5 towers with a top terminal located above the current chairlift at 3,818 feet in elevation. Forms are being assembled in the base area for the tower footings. Concrete work has been completed at Whaleback, as the West Side project is progressing. A refurbished Hall T-Bar will be installed, serving lower mountain terrain.